Common Origin is the goto track on this release for me, it's proper intelligent/atmospheric jungle that could be listened to at just about any point in the day/night. And the piano chords that come in near the beginning root this tune in the science-fiction part of my brain. I thought that Jonny L had sampled the intro tune from The Running Man, but after listening to it on youtube, I'm not sure that's true. Sounds even better today, 21 years later. Previously compared to the sound of "a baseball bat hitting a dutch oven for over 8 minutes"
This 10 inch should be in the collection of every d&b head. Quote credit-Peter Shapiro 1997, Drum'n'bass THE ROUGH GUIDE, ISBN 1-85828-433-3. Intresting. I happen to have this one, except it's an actual 10", without sticker. Catalog number appears to be the same. Grooverider without doubt is one of the scene's best when reworking classic tunes. 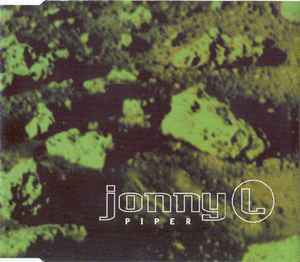 Piper the original had already established itself as a big time tune receiving huge DJ support up and down the UK, plus not forgetting the video which is still to this day being played on MTV. Now if you thought the original was bad, trust me this remix is even better. Grooverider starts the track in a moody and paranoia type fashion with it's dark intense melody, then followed by the snippet beats which make the intro feel like a angry robot is walking towards you. A slight pause for that 'Piper' vocal and then boom the drop kicks in with that heartbeat type bassline still accompanied by the moody melody, absolutely sick. Then a few bars later the melody fades out and the track becomes more menacing and rolling accompanied with some nasty stabs. Epic remix from the Great Grooverider. The flip side 'Obedience' is over shadowed by the Piper remix some what, but you won't be disppointed putting your needle to this one. Like Piper this is very moody and dark, an intense roller for the masses who like a bit of dark DnB. Quality 10inch release, and without doubt a piece of Drum n Bass history.